I very distinctly remember the first time I ate leeks. My intent was to make a leek and potato soup, and that never happened, because the leeks got eaten before they could even make it to the soup stage. I started off by caramelizing the leeks in some olive oil, and I tasted a little…then tasted some more…then another little bite…well, then the leek bits were pretty much all gone. 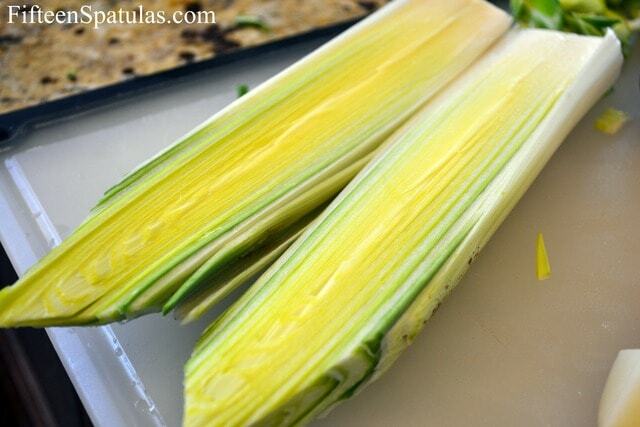 Leeks have got to be one of the tastiest foods on earth. When I say I could eat a big bowl full of sauteed leeks, I mean it…and I say that from experience. They take this hash from good to AWESOME so make sure you don’t substitute them. I love making potato hashes because you can basically clean out your fridge when you make it. I had a leek that was on its way out, 1/2 a package of bacon that needed to be cooked, and some mushrooms that were counting down the last of their days. Leeks and potatoes are practically soulmates, as are bacon and potato. Start by cooking the bacon over medium heat in a skillet until crispy. I find that the bacon crisps up better in a nonstick pan rather than an uncoated pan, but either will work. 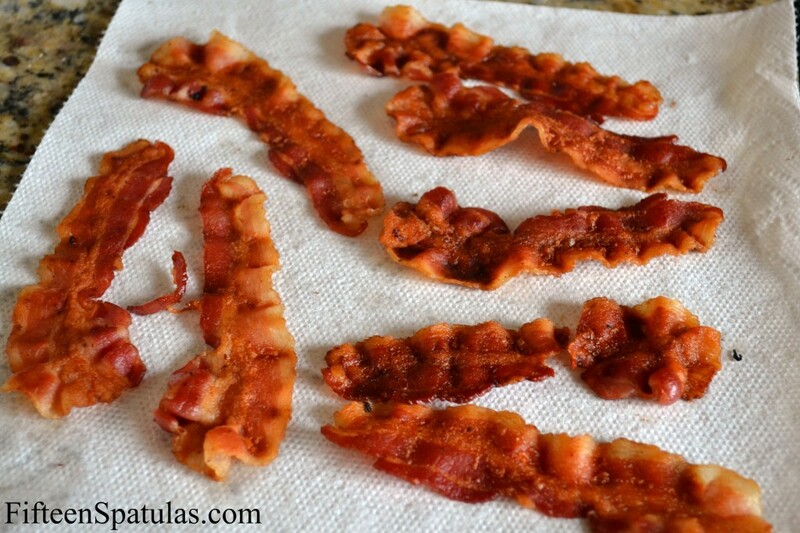 After the bacon is nice and crispy, set the strips on a paper towel for later. Next we want to cook the mushrooms. When cooking the mushrooms, you want an uncoated pan, since we will be using very high heat and high heat is a no-no for nonstick pans. Turn your heat all the way to high so your pan is screaming hot, and add the mushrooms to the pan, a handful at a time, one handful every minute or so. 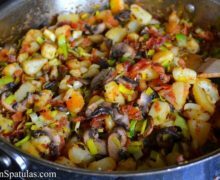 The pan should be so hot that the mushrooms squeak when you stir them. If you see water being released into the pan, your pan isn’t hot enough. Season the mushrooms with salt and pepper, and cook the mushrooms for about 5 minutes, until most of the water has been cooked out. Remove from the heat and set mushrooms aside in a bowl. 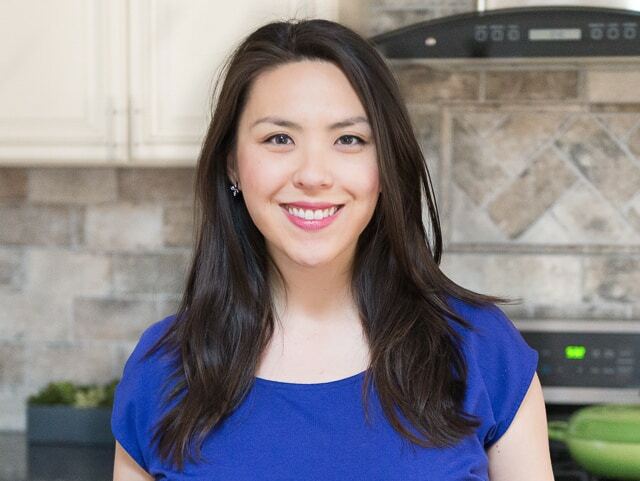 By the way, the reason we add things like mushrooms a handful at a time and in intervals is because adding cold (or room temperature) food significantly cools down the pan. If you add all of the mushrooms at once, it will likely cool the pan, and the pan will not be hot enough to make the water from the mushrooms evaporate the instant they are released, and if that water doesn’t evaporate instantly, where does it go? Into your pan. Steaming your mushrooms. We cannot get a caramelized flavor with all that water. On to the potatoes. Dice your potatoes up into small cubes. Heat the vegetable oil over medium high heat, and throw your potatoes in once the oil is nice and hot. Season with plenty of salt and pepper, the paprika, thyme, and cayenne. 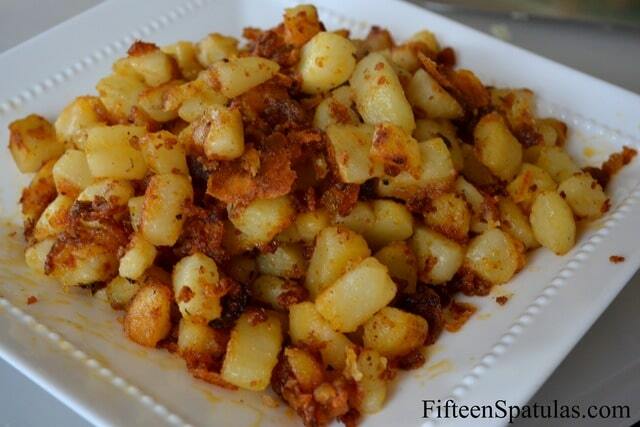 Cook the potatoes for 10-15 minutes, until the oil is gone and the potatoes are cooked through. Constantly scrape cruddy bits off the bottom of the pan, so you have crispy potato bits throughout (this stuff tastes GOOOOOOD). Take your potatoes out of the pan, and turn the heat down to medium. Now onto the leek. Before chopping your leek up into a fine chop, it’s important to rinse between the layers pretty well because there could be sand or dirt in there. After you chop up your leeks, saute them in your pan for 5 minutes until lightly caramelized. 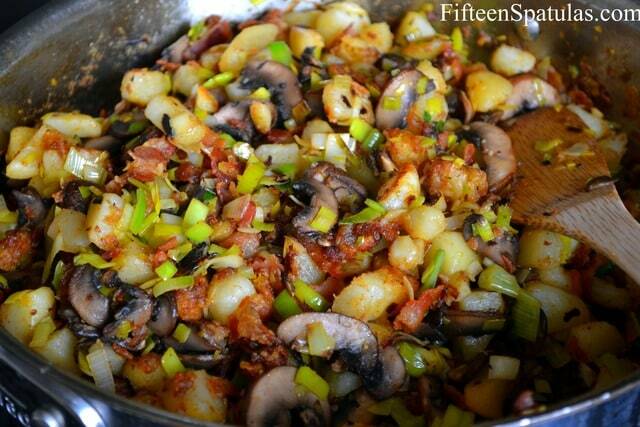 Crumble up the bacon into the pan, and add the potatoes and mushrooms back in. Stir it all together, and make your final seasoning adjustments with the salt and pepper. Serve! Sounds yummy. I make hash heaps especially when I live on my own. I used to use sliced onion sliced mushrooms and sliced potatoes. And of course diced bacon. I add sometimes add sweet potatoes parsley then whisk up eggs and pour over frypan and cpver until cooked. Sometimes I have added diced garlic.